Edhels hails from France, but given the trio of Italian surnames among the principal membership, one figures their hometown resides within (inevitably) a multi-lingual and multi-cultural boundary zone that is more common than not in the circum-Alpine region. Indeed, one recording here is from Menton, a town nestled between Monaco and the Italian border along the "Cote d'Azur," aka the Riviera. So we can safely assume the band is as much Italian as it is French. ‘Universal’ is in essence an archival release of both (?) studio and live recordings from roughly a decade ago, 1995-1998. Surprisingly, despite the wide spread of recording dates and conditions, the sound/mix of the album seems largely coherent. Right from the outset of the opening track “Martha,” it becomes apparent that one’s overall impression of ‘Universal’ is going to depend on how well one tolerates Bastianelli’s oddly accented vocals. His annunciation of English words is very peculiar, as if he only had a rudimentary understanding of the language. Thus, the lyrics would be totally unintelligible if it weren’t for the printed text in the accompanying booklet, and even then... Still, language proficiency aside, it is really his sharp, nasally voice and crazy over-expressiveness in delivering his “words” that is the distracting aspect of his singing. "Tenera Lupa” is the one song that Bastianelli mixes in lyrics in his native Italian with English, though to be honest, I can hardly tell the difference. The tune here is a lazy-paced, smoky ballad, which seems appropriate given the widespread use of love themes throughout the album. 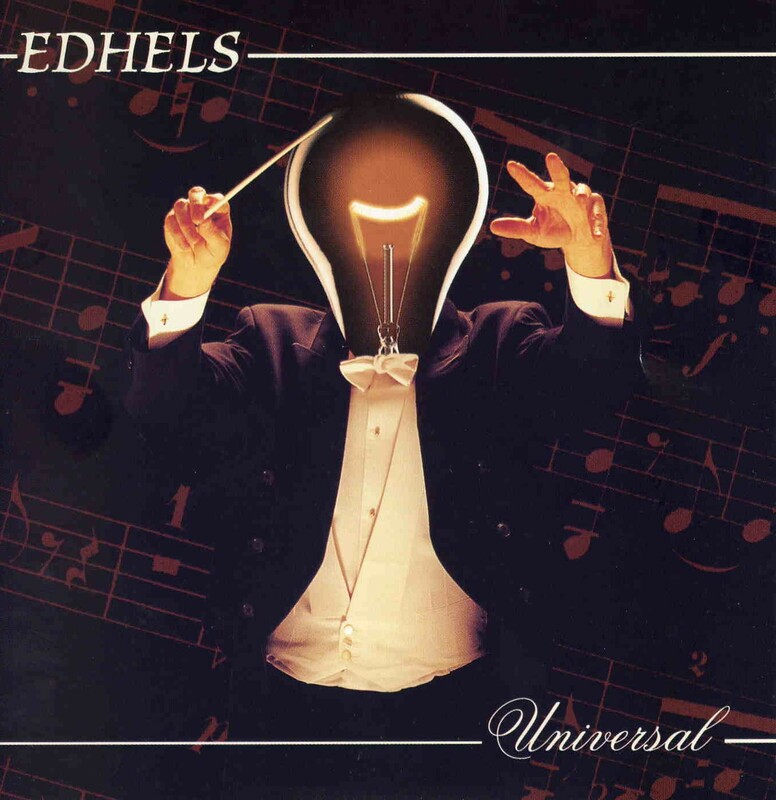 This has been my first exposure to Edhels, which in some ways displays some of the same (half-)pretentiousness that has long been the staple of the French progressive rock scene. Due mainly to the over-the-top vocals of their frontman, Edhels simply goes too far over the line into this pretentious territory for my tastes. Nevertheless, the band shows versatility and impressive chops over the course of the album. Ceccotti’s songwriting is decent enough, and thankfully not prone to unnecessary bouts of wankery. I wish more of his guitar was in the mix, because by contrast, the vocals are more prominent than I would care to have. Not a bad album, but it would appeal primarily to a particular type of prog fan, and not the general masses.